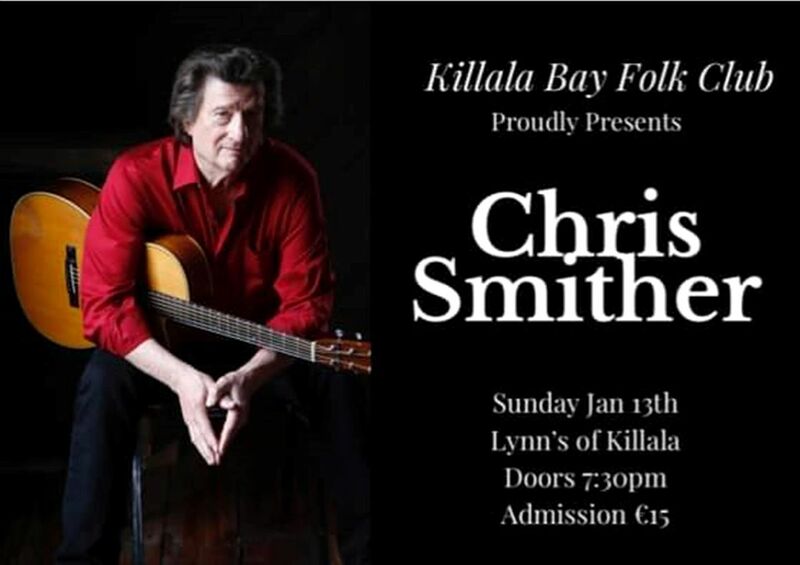 Killala Bay Folk Club host Chris Smither on his return to Ireland to support his newest record, Call Me Lucky. Kicking of in Lynn’s of Killala at 7.30 pm, purchase of tickets is advisable due to limited availability. Call Me Lucky was recorded at the gorgeous Blue Rock Studio in the Texas foothills, features Smither’s first set of new originals in six years. Released in March 2018, Call Me Lucky is packed with Smither trademark songs that offer commentary on the human condition with a wink of an eye and pulls from deep in the soul and a couple of surprise covers that remind us of Chris’ deftness as a song interpreter as he makes the songs his own. Joining Chris will be The Suitcase Junket (Matt Lorenz) who also played on Call Me Lucky. Chris is a young American songwriter and musician, The Suitcase Junket will play a short opener set of his music that is rooted in the salvaged sounds of mountain ballads, blues manifestos, American juke joints and back porches; it’s that and his road-worn voice rising over the grind of a tube-amped dumpster guitar, and the wild double pitches of throat singing that drew Chris to Matt’s music. The Call Me Lucky tour will definitely satisfy Chris Smither fans as Chris performs songs from the new record as well as digging deep into his back catalogue of favourites. As fans from around the world continue to fill concert halls, music clubs, and festivals, reviewers including those from the Associated Press, NPR, Mojo, and The New York Times agree that Smither remains a significant songwriter and an electrifying guitarist — an American original — as he draws deeply from folk and blues, modern poets and philosophers.